You are here: Home / quilt / What’s in a Quilty Box? Hey there everyone! Happy Monday! 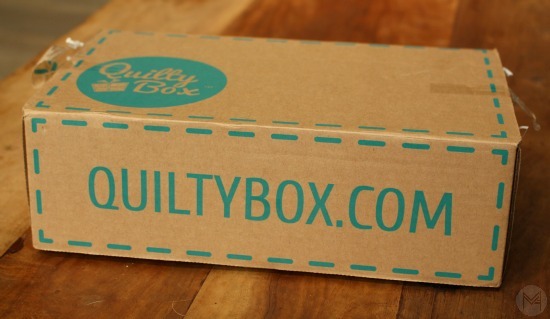 Quilty Box is a subscription box, they have many different plans and options to choose from and you always get more value than what you paid for the box which is super cool! I love a good deal! 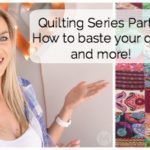 Plus, you get exposed to different types of products, designers and and new things in the quilting community that you normally wouldn’t! 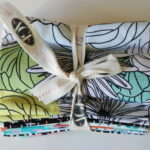 October’s box was curated by Angela Walters and features some of her new fabric and some other favorites. Autumn is the time to take a cruise and enjoy the beautiful fall colors! Love putting the tree up with my boys!! My favorite fall tradition is when all of my siblings and I sleep in as much as possible on thanksgiving so that we can wake up, eat with our family and then go black Friday shopping. We always seem to have the most laughs when we go out together to brave the lines! I love relaxing by a fire, enjoying the cooler temps that fall brings, and watching the leaves change here in Minnesota. It’s pretty spectacular! My favorite fall tradition is getting the Xmas tree from the forest on the day after Thanksgiving. Our favorite fall tradition is going to a little farm in our area called the “country basket”. every year they have new baby goats and kittens added to their petting zoo and so many fun activities my kids love (and me too if I’m honest) they serve the best cider and make pumpkin spice donuts that are to die for, fresh every day! We always get pumpkins from the patch and go home and pig out on said donuts and carve pumpkins all afternoon! 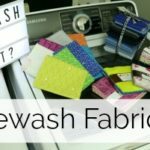 My favorite fall tradition is sewing and creating new items and gifting them during family get togethers. Everyone is always excited for a new quilt, blanket, baby items and more. This year my family and extended family have adopted other families so I am trying to make some items for them as well so they will have personalized items that are theres since they haven’t had anything like it before. Fantasy football, apple pie and boots! I love warming my feet with cozy boots. Fall is when my apron gets the most use! I absolutely love putting a handmade touch on everything I make and spend fall nights into the wee hours of the morning working on all of my family’s presents for the upcoming holidays. I also love breaking open my grandmother’s recipe book and baking up a sweet apple pie! Her crust is to die for! And it creates a delicious potpourri for the house while I’m sewing up a storm! I love getting together with my family and baking in the fall. My fAvirite fAll tradition is being around family for thanksgiving. The enjoyment of having that dinner with everyone always excites me ! My favorite Fall tradition is Thanksgiving day. All the family gathering around and over-eating 🙂 It’s the best! I love every season, but what I enjoy about fall is cooler weather, lighting my pumpkin candle, looking forward to cozy family times like watching It’s the Great Pumpkin, Charlie Brown with the grandchildren! I love it because it’s the season where the whole family gets together. I love the anticipation of the holiday season and learning new choir music for Christmas. I love to decorate the house for Christmas. I love EVERYTHING about fall! But my favorite tradition would be thanksgiving and pumpkin pie! Also means cooler weather, and more family time in front of a bonfire making s’mores! My fave fall tradition is Fall itself! It is my favorite holiday and that means cooler weather, time spent with family over holidays and get to decorate my house with fun cute things! Canning the harvest. Making butternut squash soup for the cooler days and being thankful for the changing colors all around. I don’t really celebrate traditions. What I like most about the fall and thanksgiving is counting my blessings everyday and doing for others. It seems like we forget during the year about how good God has been to us. He sent his son Jesus to die on the cross for us and rose again. It seems like the holidays is the only time we stop to think about stuff like that. So I make it appoint to let everyday be a holiday for This is the Day that the Lord has Made and I will rejoice and be glad in it. If I win the quilt box I will be a blessing to someone else. Spending time with family. Drinking hot caramel apple cider watching the sunset with loved ones. I love to decorate the house for fall. Bringing out the fall door wreath, placing decorative gourds and candles around the house and on the fireplace, getting out quilted table runners, hanging my pumpkin miniquilts, and putting an autumn leaves tablecloth on the table. Fall is my favorite season. I love baking with apples; pie, applesauce, and anything I can think of and drinking coffee or hot apple cider. 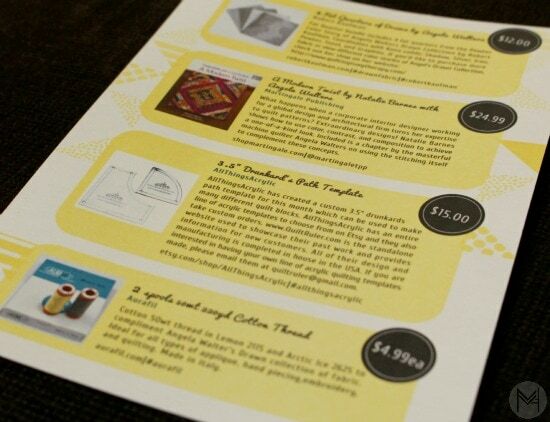 I signed up for quilty box when I saw Vanessa from Crafty Gemini is the curator for the month of November’s box. Then I saw how awesome the October box was too and now I am just excited I signed up!!! The best part of fall for me is the anticipation of the Holidays. 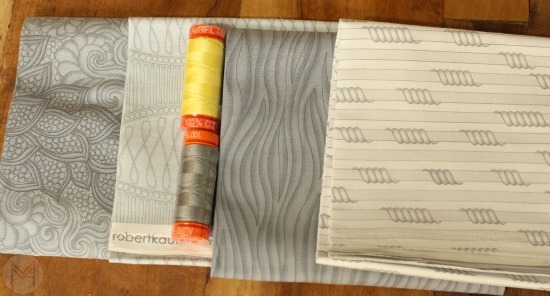 I love the cooler weather and it makes me want to sew and quilt. Watching the pups (three poodles (one of each size!) race through the leaves. I like to rake leaves into piles and jump into them. And collect leaves that stand out the most to me! My favorite tradition is taking my kids to the pumpkin patch. My husband and I drive an hour away to go to a simple (but still large) farm with a long hay ride and beautiful scenery. I love watching the kids get so excited to pick a pumpkin, feed a goat, and ride the hay wagons. Happy Fall Ya’ll! Fall is my absolute favorite season of the year! It’s the time of year when you can curl up in a blanket and have a cup of tea, even if you’re not sick, and enjoy the fresh crisp air and changing of the leaves. I love the way fall brings family together to begin celebrating the holidays together and be thankful for one another. I love eating anything pumpkin and apple butter is to die for. I know these are not much in the way of traditions but it the feelings I get from the season make fall the best in my heart! My favorite fall traditions is cooking, and baking. I love the smells of fall baking and soups simmering. My favorite Fall Tradition is apple picking with my daughter and my partner and then making Apple Sauce and Cider to give to family and friends! My favorite fall tradition is hiking blue hills and taking in the beauty of fall foliage and breathing in fresh mountain air! This is a tradition i didn’t get to do this year because i am 9 months pregnant, but its something i look forward to each fall! My favorite fall tradition is cooking a Thanksgiving meal for my family – I love cooking! Oh, and drinking Pumpkin Spice Lattes all Fall. ? Going to the apple orchard, gathering a bushel of apples, and getting some fresh apple cider! Michigan apples are the best!!! 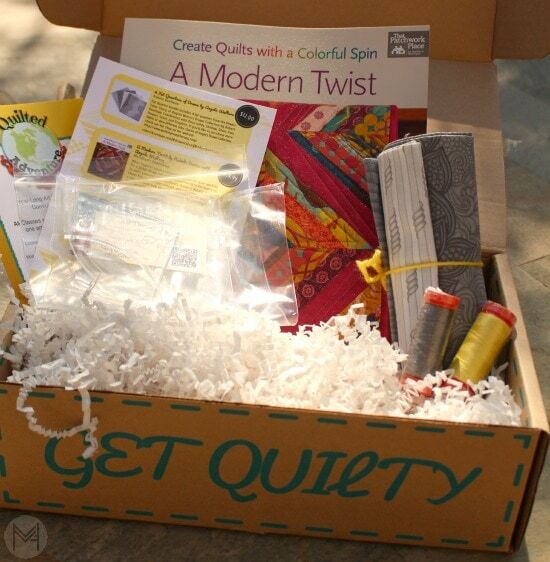 Loved your QuiltyBox – first i’ve heard of that. What a great idea. Happy fall quilting! My favorite fall tradition is having the whole family over for thanksgiving dinner. My favorite fall tradition is going to the Mandarin Festival with my husband and looking at all the homemade crafts and getting inspired to go home and start on more of my own. Nothing like being around other creative people. My favorite fall tradition is getting all the leaves together in my yard and have a fire. IN the fall we love to pick apples at an orchard and then have pumpkin pie and ice cream…yum! My favorite fall tradition was helping my mother cook thanksgiving dinner. She passed away in 2011, but I carry on the tradition. Every thanksgiving morning while I’m in the kitchen cooking I still feel her presence with me. I feel blessed that she was able to teach me how to cook thanksgiving dinner. My favorite thing is making hot chocolate as the weather gets colder. Baking and filling the house with the warm aroma of those baked goodies is my favorite fall tradition! My favorite fall tradition is enjoying the world of pumpkins! From pies, to coffees, decorating with pumpkins and so on. My favorite thing about fall is the weather, spending time with family, and making pecan pie! If you consider harvest veggies a fall tradition, that’s my favorite part of fall. Favorite fall activities “camping, yard, sewing always”. Cooking/baking/eating anything pumpkin. It just says autumn to me. My favorite fall thing to do is make homemade jellies and Apple butter. We love to drive around a look at the trees and the pumpkin patch! My favorite fall thing to do. I love to take out all my fall decorations and decorate my house and of course you have to bring out your Yankee candle that smells like pumpkin spice and then I sit in my chair with a hot cup of coffee and soak in all the decorations and the wonderful smell and then give the Lord thanks for all that he does. Baking pumpkin desserts and sitting by the campfire with friends and family. I love going to the pumpkin patch. we always look forward to the annual hay ride held at our friends house way out in the country. A huge bonfire, hotdogs, lots of sweets, and of course a hayride through the woods with the bigger kids trying to scare everyone. ? My favorite time is in the Fall. I Love having a good Roast Beef dinner with my family, doing the dishes, then we would take a walk in the woods and of course it is a beautiful sunny day and you could smell the fresh air and the smell of the leaves were fantastic. I can smell them now. Just listening to the birds near and far away chirping and calling out to each other, the running water of a creek near buy, the leaves crackle as you walk on them. This is the most beautiful time of the year for me. My favorite fall tradition is racking the leaving and letting my kids jump in them and seeing the decorations! Autumn is my all-time favorite season. My fall tradition is baking and spending time with family! Raking leaves into a big pile and jumping in them! That is how our grandparents got us to do the raking. Haven’t been able to do that yet this year. My BF keeps mowing over them and turning them into mulch! It’s the season for hiking and families spending time together. There are 7 children in my family and my parents would take us hiking almost every weekend. One time my Dad found a natural wooden letter D and he made a necklace out of it and gave it to me since my name begins with a D.
Favorite fall family tradition- 1200 pounds of apples made into 150+ quarts of applesauce and 35 galllons of cider. 14 grandkids with their parents and grandparents all working together and having fun! Melanie, I live I the Middle East but have a US address (my Mom’s). If I’m not eligible, cool. If I am, uber cool! I’ll take my chances….I love Fall. I love the changing of the season and all that comes with it. The nature in middle America is stunning. My favorite fall tradition is riding around town looking at all of beautiful trees changing colors and the fall decorations. Love fall hikes and walking around the freshly opened corn fields and riding in the chopper and combine with my husband. Also the start of all those winter sewing and crocheting projects! Trip to the apple orchard , homemade apple butter, bonfires and Hot chocolate! Anything and everything pumpkin related! Fall in the Midwest is Awesome! Especially when you live by 10 apple orchards. There is nothing better then a fresh apple crisp. I live in texas; so it finally cool enough to get outdoors for camping, hiking and bike riding. Our family is all about fall. We love the outdoors, so you will find us hitting up the pumpkin patch to find a great pumpkin! You will also find us out in the woods for an annual deer hunt along with all the prepping involved. I LOVE fall in so many ways. I love the cooler temperatures. I love Mother Nature’s painting of all the trees. I love raking those leaves because it reminds me of running and jumping in them when I was little. I miss burning them. I love new shows on TV. I love wearing a light jacket and not sweating so much. I love less mowing. I love a fall vacation to see more colors. I love turning off the air conditioning and opening the windows again. I love apple pie. I love everything about fall, except for what follows it…that cold, snowy season that seems to never end! I love walking in the crisp leaves, making apple crisp from fresh apples, Halloween, the cooler air (minus the humidity) and snuggling with my sweetie on the couch in the evenings. Fall is the best! Autumn is my all-time favorite season. Making apple crisp, raking leaves and lighting great smelling candles are just a few of my favorite fall traditions. Fall in Houston means it’s cool enough to go play with my glass fusing kiln in the garage. Fresh air an sunshine blowing cool into my workshop. It’s also the time to start sewing velvet and Chinese silk Christmas stockings for the newest babies in our family. I make them nice and big so Santa has room for lots of presents! My favorite fall tradition is visiting apple orchards with my granddaughter. 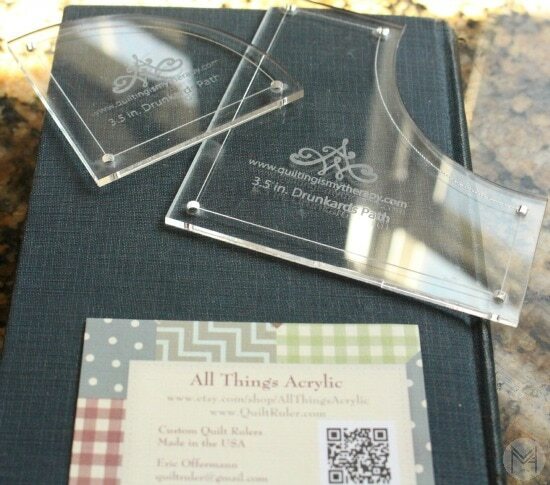 Thanks Melanie and Quilty Box! I used to have fall traditions when my sons were younger. But, life had other intentions for us. For now. and that is something new and different for many, it’s the very special times of family together. It doesn’t happen often enough, but when it does, it’s “family” for sure. A brisk morning walk through the fallen leaves – when you can see your breath and the sky is clear – with a hot beverage in hand. Nothing makes me feel more alive! My favorite fall tradition is family walks in the woods enjoying the autumn colors. Warming up with hot cider and snickerdoodles! Bondfires and rosting smores is my favorite part of fall. There are too many wonderful things to only pick one, so I’ll leave you with a couple of my favorites. Family, Thanksgiving dinner, knitting by the fire, and my new favorite is leaving to quilt! Thanks Melanie for giving me something to do when it’s cold outside. I love the smell and sounds of Fall. Walking in dry leaves, putting gourds, pumpkins and other fall items in piles for yard decoration. Putting up my Fall wreaths and just the cool air and the breeze as I walk around my house. A tradition has lots of meaning. We traditionally gather for Thanksgiving and catch up on what is going on in our lives. Being older and life is more precious with every year. My favorite fall tradition is definitely curling up to the fire with a hot cup of coffee and crocheting the night away! Fall is my favorite time to sew. 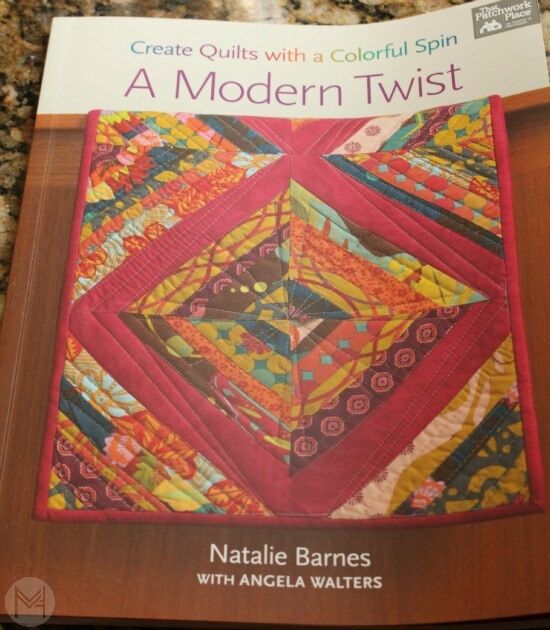 It usually is chilly in the northeast, and I enjoy sewing and making quilts inside for my family and friends. I love your crochet tutorials and watching football games gives me the opportunity to crochet! I look forward to seeing the leaves change color, especially the maple trees! Also, Thanksgiving and spending time with my family! I love the cooler fall weather that lets me cook and bake more for my family. My favorite fall tradition is baking and spending time with family! Fall means Alabama football at my house. :). Family gathering together, children coming back home for Thanksgiving and enjoying sweet fellowship and memories from the past and making new ones for the little ones. And of course, being amazed at the beauty of God’s creation with all the changing of colors that fall brings. Fall is my favorite season…cool enough to go camping with family, baking pumpkin breads. Enjoying raking the leaves..just simple things of life. We have started alternating going to watch our childrens house while the kids trick or treat. We live 5 hours away, different directions, from both daughters and this allows us to see the grandkids in their costumes. My favorite fall tradition is taking my family to Gatlinburg for a weekend getaway and seeing all the beautiful fall foliage. It is my MOST favorite time of the year! My other favorite fall tradition is when I get to put away all my summer clothes and sandles and I get out my warm, snuggely fall/winter clothes and boots! I love my fuzzy boots and ALL of my scarves, they remind me of my mom. My favorite part of fall is baking hot fresh apple pie. Love it! Well fall means hunting season for our family and it is always a lot of calls and texts with pictures and cookouts//cleaning parties. It is a big time every fall. Then just eating big and laughing hard at holiday meals. After Thankguving dinner I bring out the craft supplies and anyone who wants can join in. Most of the times it a homemade ornament. I try and pick a project for all ages. Last year it was button ornaments. We made Snowmen – Candy Canes – Christmas Trees. They turned out adorablely. And it’s always fun to see how different everyone’s turns out. Great reply, puts me right into the fall spirit just picturing it all :)! Just waiting for the weather to get a tad bit cooler to take advantage of all the comfy, warm and snuggely clothes, I hope it’s soon. I live in Georgia. One of my favorite things to do when the weather turns fallish is to quilt more and enjoy the cool days and cold nights. Fall is my favorite time of year! Our new tradition is to take the kids on fall foliage train tours. We have to usually drive an hour+ but it’s worth it to see the colors and the joy on their faces! My fondest memories of fall are of my grandmas who are no longer with me. I use to get up real early on Thanksgiving morning to help my mom’s mom stuff the turkey and get it in the oven. Next we would work on the homemade rolls. Later in the day I would work on polishing the silver for when my dad’s mom came over. She always had a fun craft to do for our center piece. Those days were sooo special to me because I got to have my grandmas to myself. I have 19 cousins on mom’s side and 32 on dad’s side. So it was hard getting them all to yourself! It was great too to have both sides of my family show up at my parents not so big house. The love and laughter fills my memories. I am truly blessed. My favorite fall tradition is having a huge bon fire with my family while we drink mulled apple cider or hot chocolate. I also enjoy watching football with my husband. Our family tradition is to take our kiddos to the local pumpkin patch where they have lots of games, a petting zoo, corn maze, and a hayrack ride that takes you to a pumpkin field to pick out a pumpkin to take home to make pies! It’s so much fun! Getting out my fall decor and lovingly displaying it all over the house. It really warms our home! Well here in Florida fall is late coming and extends into December, but I enjoy being outdoors, flea markets, walking and riding my bike. Spending Thanksgiving and Christmas with my grandchildren. My favorite Fall traditions include 1) picking apples at an orchard and making everything with apples, 2) driving along the Skyline Drive to see beautiful colors of leaves, and 3) drinking Beaujolais Nouveau with our Thanksgiving feast! MY FAVORITE FAL TRADITION IS MAKING THE THANKSGIVING TURKEY. I LOVE THAT ALL MY FAMILY GETS TO ENJOY SOMETHING I MADE AND PUT MY LOVE AND HARD WORK INTO. Carving pumpkins with my kids is always something we look forward to! All of fall. Halloween – watching kids and adults dress up to celebrate my birthday 10/31. Thanksgiving for family and friends, and last and most important the coming of Christmas, the greatest celebration of all. Love this box….especially the fabric!! My favorite fall tradition is family football Sundays. We go out and watch our son play and then come home and dinner in front of the Sunday night football game. I work at a local pumpkin farm. We have tons of activities for country family fun! I love to walk around the farm on beautiful fall weekends and see families enjoying all our activities. Running through the leaves with my son! I love Autumn! I enjoy a brisk walk with the leaves falling down around me. Thanks for the lovely giveaway. Turkey dinner with all the trimmings and decorating the Christmas tree….we start early! I know I’m supposed to write about my favorite fall tradition but this is my husbands and my first fall with my twin girls. I cannot wait to see what tradition our little family makes this year! Maybe it’s cool leaf art or making a new thanksgiving dish together! I love to carve pumpkins. This is a new tradition for me as I grew up in Scandinavia and now live in the states. I have adopted many new traditions for all year round. My favorite fall tradition is making big pans of stews and soups, served with crusty bread. Our fall centers around college football and tailgating! I love curling up with a blanket with my family and watching holiday movies. A lot of knitting of Scarfs and gloves for the local homeless shelter! Loving to knit and helping out when the weather gets colder is my favorite Fall tradition! Cooking and Baking treats with my kids and giving the finished product to the people I love! Our favorite fall traditions involve the crock pot!! We make applesauce, apple butter, pumpkin butter, and hot cider with cinnamon sticks. My kids are now old enough to be able to do a lot of the chopping on their own, and they enjoy “customizing” each batch with different spices or additions. A current favorite is applesauce with cranberries! My favorite fall tradition is baking with my family & also making fall & winter decorations. We made some hurricane candles & I let my son pick out some pretty fall leaves from outside to decorate the hurricane candle. Also making hand turkey pictures with him for the family :-). Drinking hot apple cider with my husband. We usually curl up and watch Anne of Green Gables too. Have a great day! Thanksgiving dinner with family and going on day trips with the kids when the weather is so beautiful! Our favorite fall tradition is harvesting apples from out backyard and making a homemade apple pie and canning lots and lots of apple products! Applesauce, apple butter, apple pie filling, oh my!!! Yum! My favorite fall tradition is baking sugar cookies with the kids. Getting creative with the designs. Then snuggling up by the fire enjoying cookies and hot cocoa. And for my alone time, breaking out my stash of yarn and crocheting away. ? Drinking hot chocolate while watching a movie together with my family. My favorite fall “tradition” is the switch to flannel sheets when the temperature gets cold enough to turn the heat on. So cozy! My favorite fall activity is going for a run with my husband and our border collie Willow on Thanksgiving morning. Our family’s tradition is to say Grace before dinner and include one reason we are greatful. My favorite fall tradition is baking all my tried and true cookie recipes. I love cozying up with my 3 kids and watching Charlie Brown specials while eating popcorn and drinking hot cocoa! I really want this box! Since moving to Virginia, I always do some kind of activity that gets me out in the countryside enjoying the fall colors in late October. So, pretty! I love playing games with family and making new traditions with my husband. Fall tradition number one is beating the mud hens off our back lawn, they herald the cool weather in a most unfortunate way, I got that job this morning in the rain. My favorite is helping my mom put out her PEZ dispensers, she is hilarious and always puts those out as her first decorations for every season. Playing card games or dominoes with family in front of the fire! family tradition: Being a military wife, we are always on the go, but we always ale sure to spend thanksgiving with family. I love having family all around my kitchen table and catch up on the new adventures. Getting to spend Thanksgiving with family members who I rarely get to see!! I always look forward to painting pumpkins with my family! Thanksgiving dinner with my family! Running my local annual turkey trot race with friends and family. Apple picking with my grandkids! love fall. we live on a canal off of The Albemarle Sound. Sitting in a chair, coffee in hand, watching all the trees turn their beautiful fall colors .